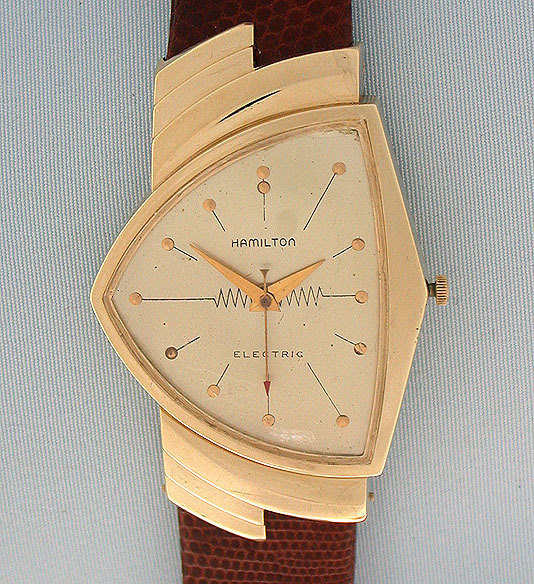 Hamilton Ventura 14K gold oversized electric vintage wrist watch circa 1957. 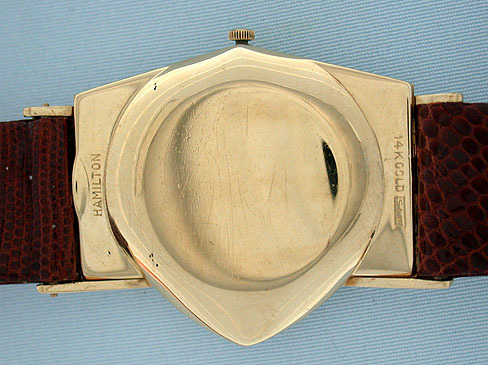 Original silver dial. A most attractive and popular futuristic design. 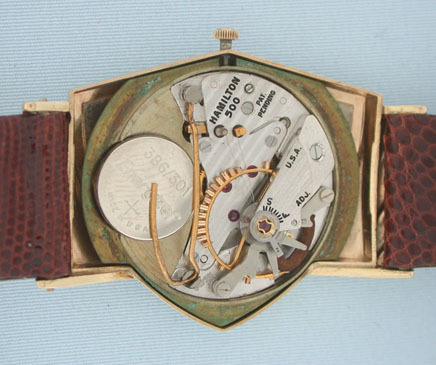 Calibre 500 battery powered mechanical movement.